Jane had a long involvement with Wooroloo Horse & Pony Club, following the journey from parent, coach, chief coach to Life Member. 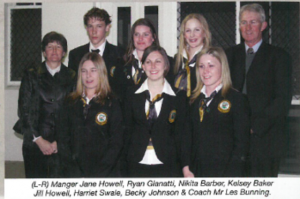 Jane’s involvement at state level was in the discipline of showjumping being at times, both a valuable member of the PCAWA State Showjumping Committee and also Team Manager of the PCAWA State Showjumping Team. Kim was appointed President of PCAWA in 1994 – 1997 and was awarded a Service Award in 2011 for his outstanding service and dedication to the Pony Club Movement in Western Australia. In loving memory of Kim, the family ask that instead of flowers, those who wish to express sympathy please consider donating to the Motor Neurone Disease Research Institute of Australia (MNDRIA). A memorial page has been established for those wishing to contribute. We also welcome messages of support and photographs through this page. Hazel joined the Pony Club movement with the formation of the Ongerup Pony Club in 1964. 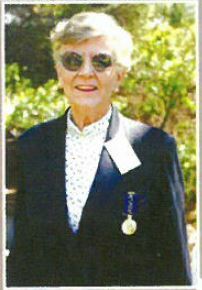 Hazel went on to be a dedicated and inspirational contributor to Pony Club at Zone, State and National levels and in 1996 was awarded an Order of Australia Medal (O.A.M) for her ‘service to Equestrian Sport’. Hazel was especially known for her interest in Showjumping and her love of the Connemara breed.